Many freezer problems can be fixed with a little troubleshooting. If the problem is a motor, it is best to call a refrigeration specialist because it can be difficult to fix without special tools. Otherwise, common freezer problems include a clogged ice maker or drain ports and cracked drain hose/pipes that can easily be fixed with a few household tools and a visit to the hardware store. Most often, the problem is a dirty condenser coil or frozen hardware that requires defrosting. Check the condenser coil to see if it is excessively dirty. A dirty condenser coil will make the freezer cool the unit improperly. Make sure you unplug the freezer before you remove the back panel. Use a cloth or brush to clean the coil and see if that solves the problem. Open the containing box and check to see if the fan blades are intact and unfrozen. Use a hair dryer to defrost the fan or use some oil to loosen up the fan and see if that solves the problem. Make sure the ice maker is running properly. 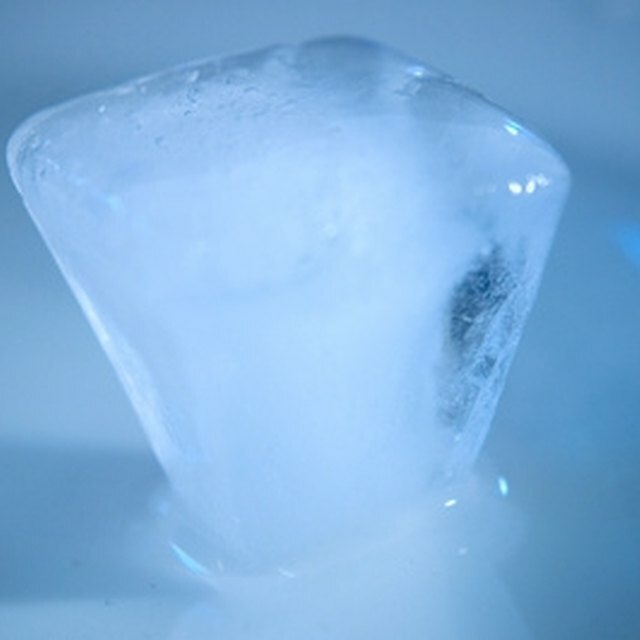 The ice maker is one component of a freezer that malfunctions frequently, because the valve strainer gets clogged. To clean it, unplug and disconnect the freezer unit from everything and take off the water line where it goes into the valve. Take off the strainer and clean it with soap and water. Put the unit back together and see if the ice machine works again. Locate the condenser fan at the bottom of the refrigerator and see if the drain hose is damaged in any way. It is simple to replace the drain hose, and the part is inexpensive. If there seems to be water leakage under the fridge, check to see if the drain pan is broken or overturned. When the freezer is defrosting, sometimes the drain ports located at the bottom of the freezer unit get clogged. Unclog the ports using a small wire or solid object that won't break off inside the port. Never use wood, as this might break inside the drain ports and cause a bigger problem. Consult your unit's manual before attempting any of these repairs. Always unplug the freezer before working on it with tools.